South Korean President Moon Jae-in’s long-anticipated visit to Pyongyang on Monday bolstered hopes that the deadlock in U.S.–North Korea denuclearization talks could be broken. 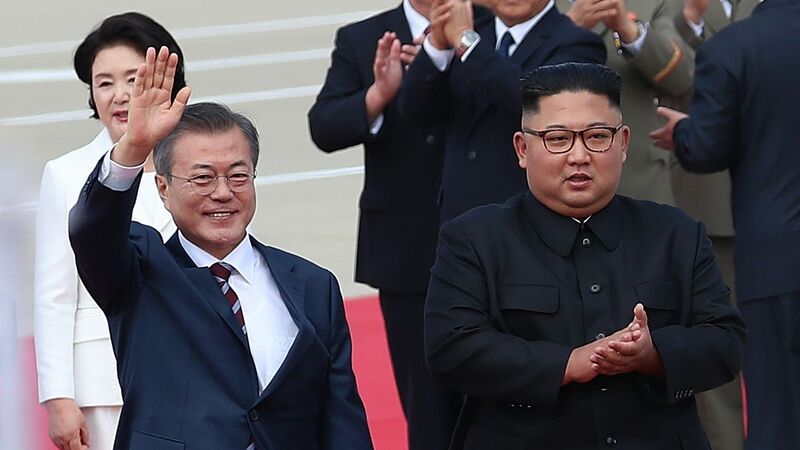 The two Koreas agreed to resume cooperation on the economic and cultural fronts, to launch a new age of inter-Korean relations and, most importantly, to begin an era of peace. Kim also promised to visit Seoul in the near future, probably by the end of this year, which would be a first for any North Korean leader. The big picture: The Pyongyang summit was a hopeful development in the recent flurry of diplomacy with North Korea, but was not in itself a game changer. It laid more groundwork for peace on the peninsula, but ended with minimal progress on the nuclear front. The U.S. has yet to be convinced that the Kim regime is willing and ready to make concrete steps towards denuclearization. Kim also agreed to welcome “experts of concerned countries” to witness the prospective dismantlement process. However, he made no commitment to provide either a list of the country’s nuclear facilities or a step-by-step timeline for closing them down — a major step many in Washington had hoped to see. What’s next: Moon is scheduled to brief Trump on the outcome of the Pyongyang summit during his trip for the UN General Assembly next week. Trump has already expressed interest in a follow-up summit with Kim and hailed the Pyongyang developments as “very exciting,” but it remains to be seen whether the Declaration will be sufficient to move the U.S. toward further negotiations — and possibly toward another meeting between Trump and Kim.